Tanner English Top Qualifier at Illini 100! 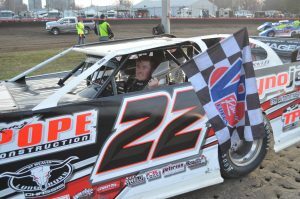 On Saturday, April 6th, Tanner English of Benton, KY took the Track in Farmer City, Illinois in his #22 Tommy Pope Construction Late Model for the Illini 100! 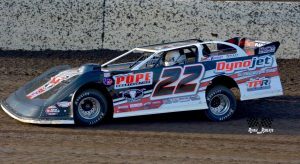 Yes you read that right, Tanner English is racing the #22 car this year! 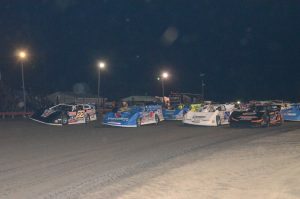 This race was a 75 lap race with $15,000 on the line for the winner as part of the World of Outlaws Late Model Series. His day started great with the top overall qualifying time of the day out of 35 cars at 12.283 seconds. He approached the heat race ready to dominate, and he did just that by WINNING his Heat Race. This put him starting the Main on the Outside Pole. 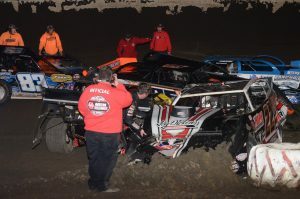 Tanner led 33 of the 75 laps, but unfortunately with only a handful of laps left to go, he was sitting in 8th and ended up getting caught up in a pileup. 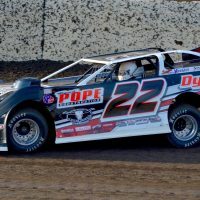 While the day did not end on the high note that it began on, it was still an overall successful day for Tanner and his team considering the amount of veteran drivers that were racing against him. 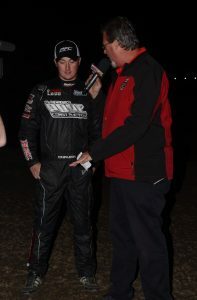 Like his father, Terry, Tanner is a natural on the Dirt Track! A special thanks goes out to Jim Beeman and all of Tanner’s sponsors, as well as his amazing mechanics and support team in the pits that include family and friends that follow him all over the country!